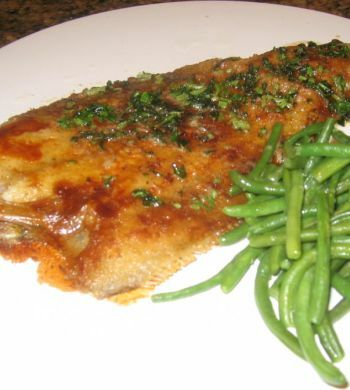 Sole Meunière is a classic French dish consisting of pan fried whole or filet of sole served with a brown butter sauce and lemon. 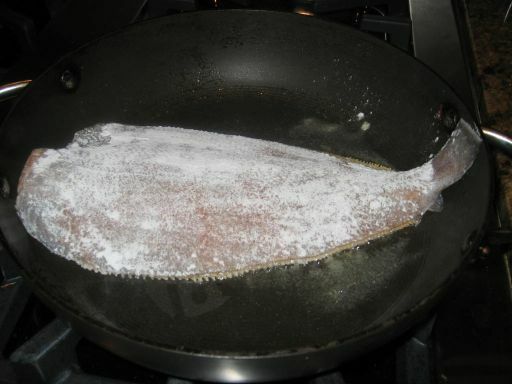 Sole has a light, flaky texture when cooked and has a mild flavor. 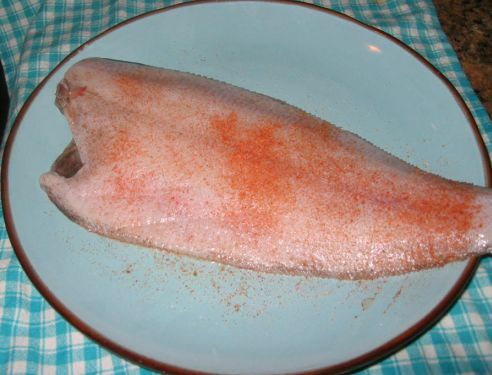 The French usually use Dover Sole but it is sometime difficult to find so I just substitute with gray Sole. 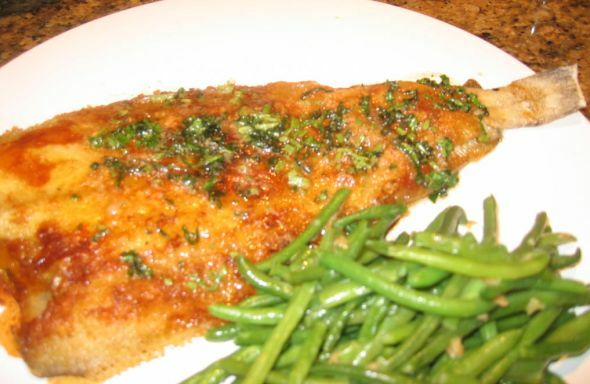 This dish is very easy to prepare and it can be a casual dish or you can dressed it up with a fancy side dish. Kevin really likes this dish and I can prepare it during the week since it takes almost no preparation time at all. 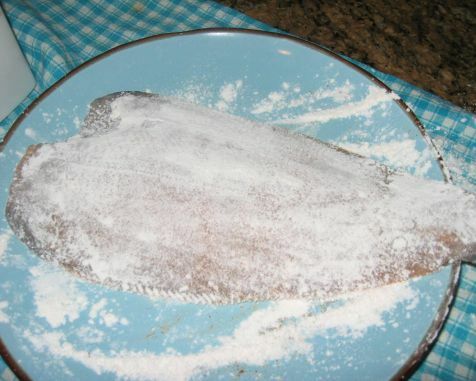 Next the sole is lightly floured. 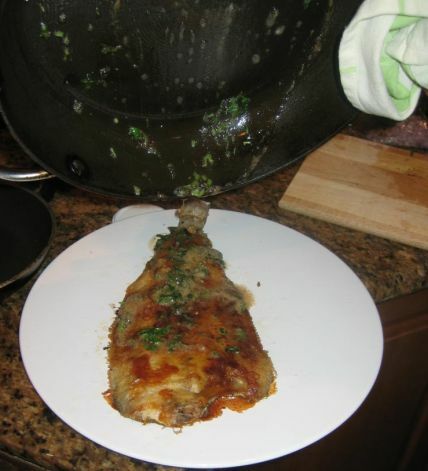 Here I am putting the sole in hot pan with oil. 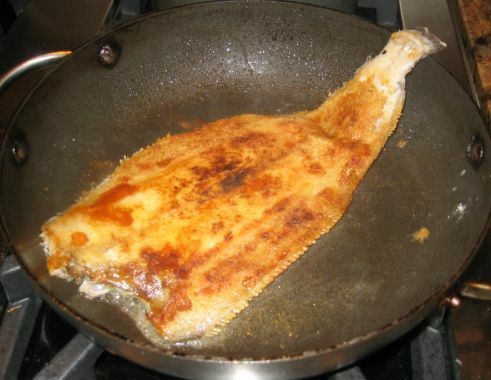 It takes about 4 minutes on each side to cook to sole. 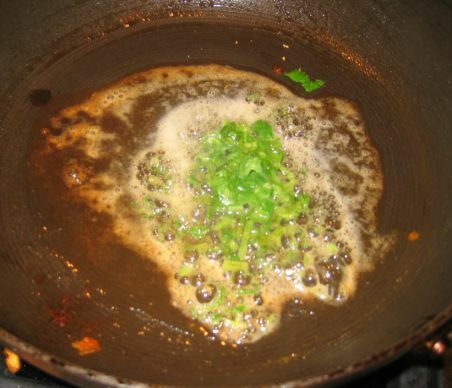 The sauce is then poured on the Sole and squeeze of lemon is added to the sauce. 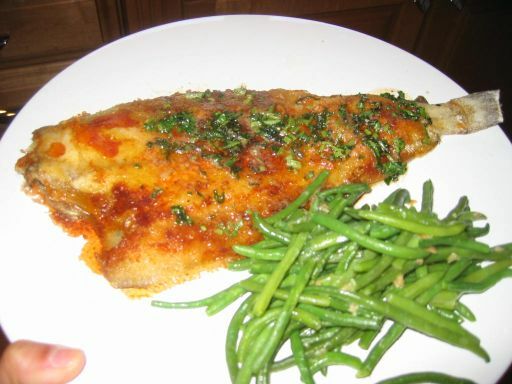 Like I said this is a really simple recipe but the result is a very tasty dish.